$65.00 Is Set Up To Be A Key Level In Next Week's WTI Market. Every now and then, the technical roadmap for a stock, currency, or commodity becomes obvious. For May WTI crude oil futures, the trend is bullish and $65.00 is the 10,000-pound elephant in the room. Bidders have challenged this level all week long, to no avail. Is $65.00 setting up to be a valid long-term top for WTI crude? In short, no. Even though oil supplies grew by a large margin last week, the bears found only short-lived support. 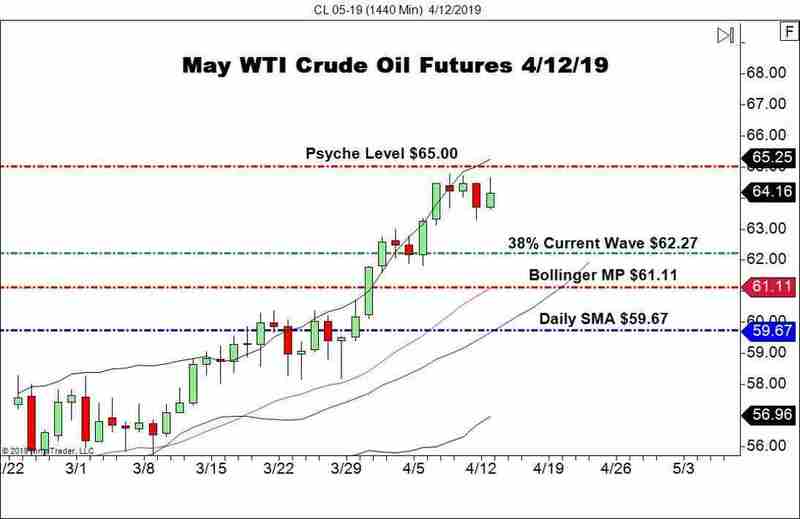 Bargain hunters are buying May WTI futures every time price penetrates $64.00 ― it appears to be only a matter of time before we see a hard breakout above $65.00. On the fundamental front, the Baker Hughes Rig Count was released to the public earlier today. The count came in at 833, above last week’s 831 figure. 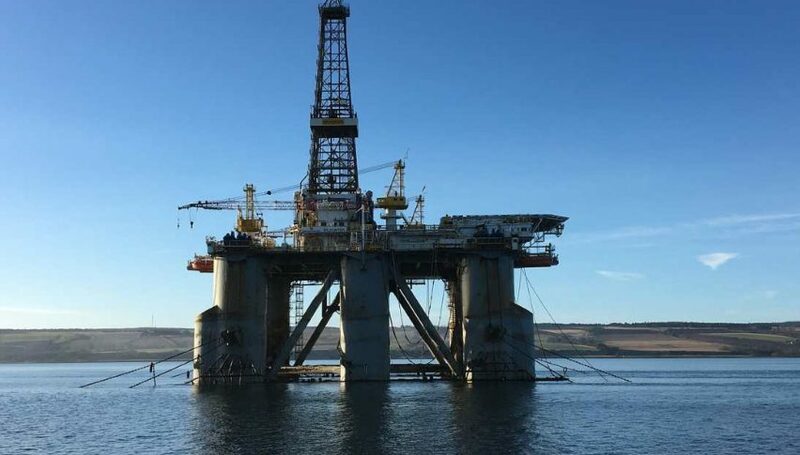 Increasing rig counts come as no surprise, due to the uptick in oil pricing and the onset of the North American spring season. Since Monday’s bullish break, May WTI crude oil has traded between $64.79 and $63.31. At this point, weekly settlement near $64.25 is a probable scenario. Bottom Line: At this point, it appears that a major breakout is brewing for May WTI crude. In my view, a strong directional move north is likely if price rallies above $65.01. A ton of short position stops will be run in this area, producing at least an intraday bullish trend. Unless we see a failed auction and reversal immediately above $65.00, bullish price action to $67.50 is almost a certainty. Right now, the bias is long-or-nothing toward May WTI crude oil. Buying dips (as in this trading plan), or scalping breaks (above this week’s high ($64.79) or $65.00) are ideal trades for Monday’s session.